Noble Outfitters is a North American company that, in late 2011, saw an opportunity to build products for riders. My favorite aspect about Noble Outfitters is the fact that they care about riders' needs and they build products based on that. 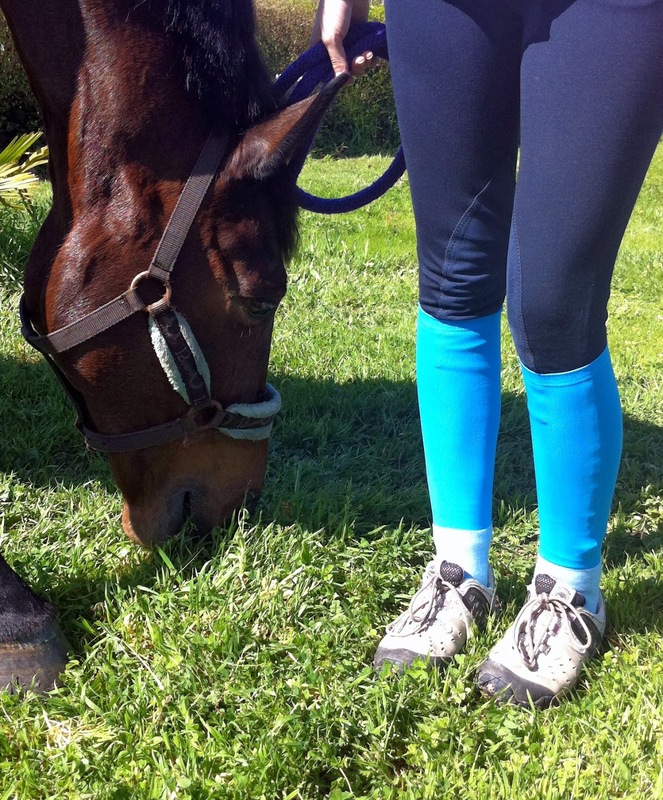 Last weekend I tried their riding socks, the Peddies, and on this post I am going to share with you my thoughts. I have two pairs: the Caribbean Wave and the Pink Zebra Print Over The Calf Peddies. 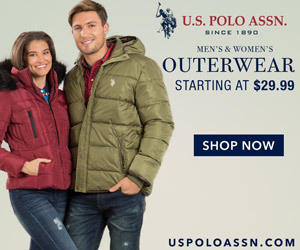 First of all, there is only one size so you don't have to wonder what your size is! 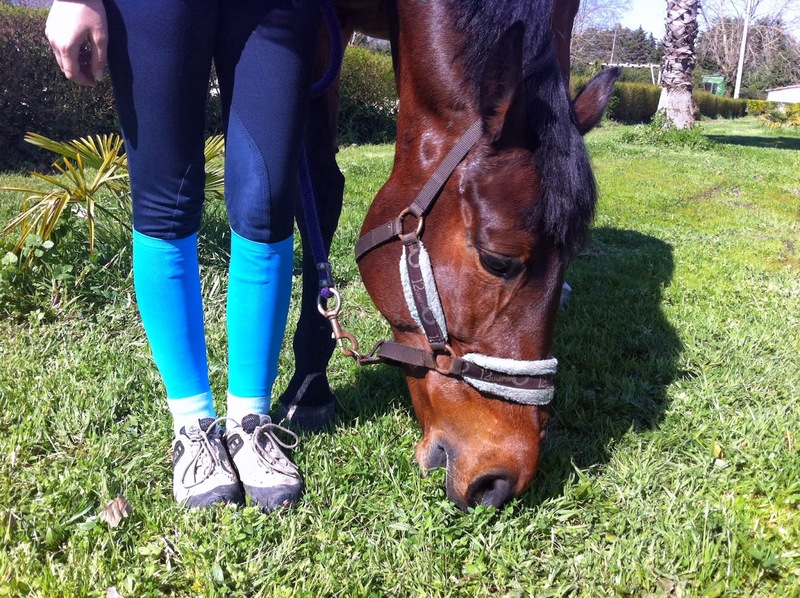 The colors and prints are great, we have many options which is amazing because sometimes it is hard to find good quality riding socks with original colors and prints. I also like the two tones they have. I got so many compliments! The quality of the fabric is good, really, really, really good! They are so soft, I have never tried soft socks like these before! The Peddies have a lighter and breathable panel on the top which I enjoy, last weekend it was warm and I felt the difference because my feet weren't hot. They feature an Opti-Dry technology that wicks away moisture. These socks are padded from the heel to toe and the ankle is also padded to protect us from boot pinch points. The upper is ultra thin so we can wear them not only in the Winter but also in the Summer. My boots fit as they should because the socks aren't too thick or too thin. The blue ones are very flexible and I really appreciate that. The printed ones also are flexible but not as much as the blue ones, I would love to see more flexibility on the printed socks. 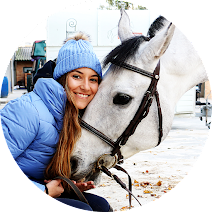 Another great aspect about Noble Outfitters: When we get something from Noble Outfiters, they commit 5% of profits to equestrian focused youth programs! Overall, I love my Peddies and I can't wait to wear them again. The comfort is what makes me love them so much, I'm serious, if your feet are asking for some extra comfort, you need to try the Peddies! You can see all the colors and prints here. As I love you so much and I want the best for you, me and Noble Outfitters have a pair of Peddies to give away!!! I will announce the giveaway later this week so make sure you keep up with the blog! Cute socks! I might have to try them. 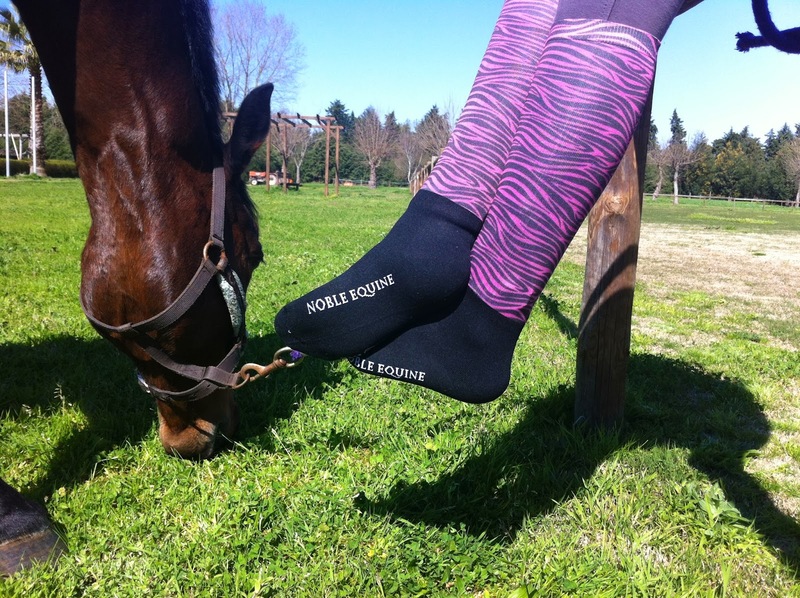 Great review as always - shall deff hope to enter if I can, love me some equi-socks!